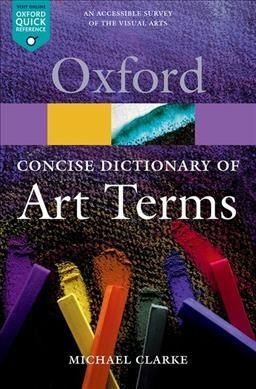 Description: The Concise Dictionary of Art Terms is an accessible and useful A-Z covering a wide range of terms from the visual art world, including materials, techniques, and important styles and periods. In this new edition, the text has been fully revised and updated to reflect the latest developments in the field. It has also been expanded with more than 100 brand new entries, focusing primarily on modern and contemporary art materials and techniques. The Dictionary has also been enhanced with the addition of over 100 weblinks to selected entries, which are accessed and kept up-to-date via a companion website. These links will add another dimension to the print book by visually illustrating various materials and techniques, whilst also providing easy access to important collections that are freely available online. From abstract art to woodcuts, and the Baroque Revival to ziggurats, this highly browsable dictionary is the ideal reference source for students of Art and all related subjects, for gallery visitors, and for all people interested in the visual arts.